From Fremantle City Library a wonderfully colourful creative display for Book Week. 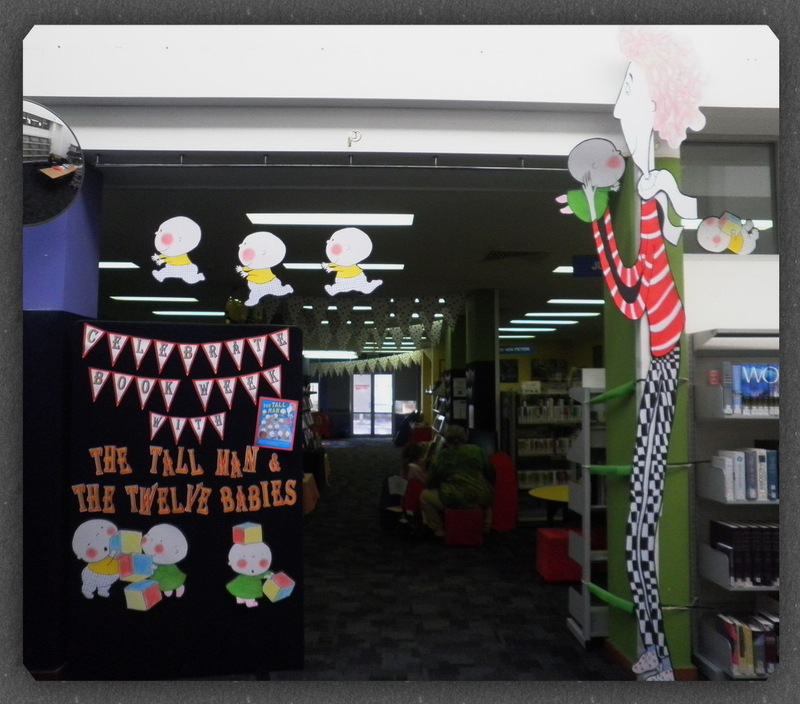 Check out the gorgeous pictures based on the illustrations in The Tall Man and the Twelve Babies! Thanks Bree, for sending me the photos! Hi Deborah, love your illustrations. 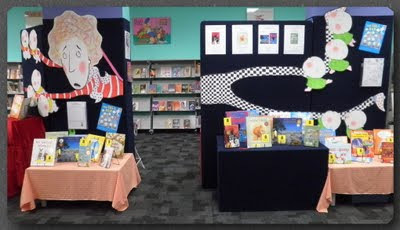 If you are continuing blogging we would love to add your blog to EARLY PLAY AUSTRALIA. Found you there at Australian Picture Books. Thank you, I'm happy to be linked! I enjoy writing about facets of illustration.